Before we dive headlong into the world of Frappés and understand their origins, I have a confession to make. I find coffee shop menus slightly intimidating. Do you feel that way too? All you want when you walk in is a good, strong jolt of caffeine but are you are faced with fancy terminology and names that are more like sentences - Iced Skinny Cinnamon Dolce Latte, anyone? I like my coffee names just like my coffee - simple, straightforward and effective. That’s how my love affair with the Coffee Frappé began and I developed an interest in its back story. The word Frappé in French literally means ‘iced’ and it originated in the mid 19th century. Though we now associate the word with a cold coffee drink, it was traditionally used to describe any partly frozen drink (such as a fruit juice) or a liqueur served over shaved ice. So how did it become such a popular coffee shop fixture? We have the Greeks to thank for that! References to a few types of cold coffee drinks named ‘Café Frappé’ started popping up around the mid 19th century. Some had a slushy consistency and others were similar to coffee served with ice. 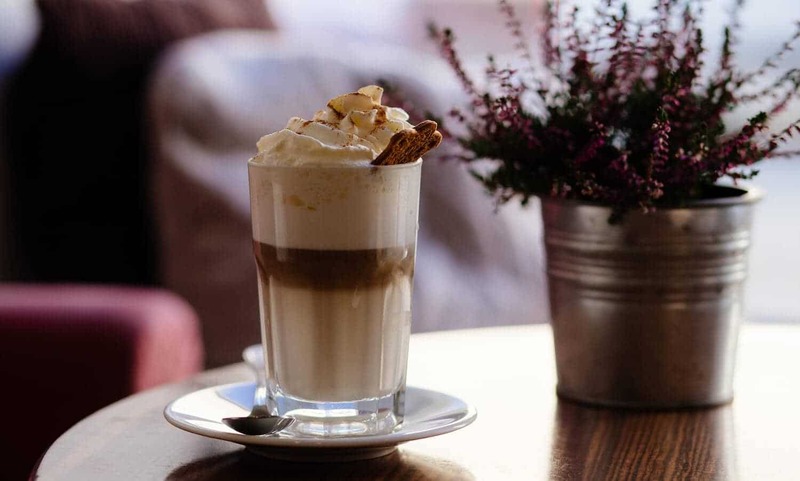 It was not until 1957, when the Greeks invented a version of the café frappé using instant coffee, that it firmly established itself as a popular coffee beverage. Story goes, a representative of the Nestlé company was exhibiting an instant chocolate drink for children made by mixing the chocolate base with milk and shaking it in a shaker. An employee of the Nestlé representative was on his coffee break when he realised he was out of hot water to make his beloved instant coffee. He then had the bright idea of mixing his instant coffee granules with cold water and ice cubes in the shaker to get his coffee fix. The rest, as they say, is history. The frappé, as the Greeks make it, is a pretty simple recipe. In a cocktail shaker or mixer you add one or two teaspoons of instant coffee granules, sugar to taste and a little water. Using a shaker helps you get the characteristic frothy layer at the top of the coffee. This can be served with or without milk. The version that is now popular in coffee shops all over is made using a blender. You typically dump ice cubes, milk, sugar, strong coffee, a little water, flavourings or syrups of your choice (even alcohol!) in the blender, give it a good whirl and pour it into a tall glass. Top it with whatever your heart desires - whipped cream, ice cream, melted chocolate - you cannot go wrong here. A popular coffee website lists upwards of thirty different frappé recipes. It’s almost as if there are as many frappé recipes as there are cafes in the world! What Then is a Frappuccino And is it The Same as Frappé? Now, that’s a good question! It’s something that has tripped me up too. Before we get to the actual description it’ll help to understand that ‘frappuccino’ is made up of two words - frappe (pronounced ‘frap’ and without the accent) and cappuccino. In the Boston area, where this drink originated, frappe is a thick milkshake made with ice cream. The Frappuccino, a drink made by combining milkshake with coffee, was developed, trademarked and sold by The Coffee Connection, an eastern Massachusetts coffee shop. 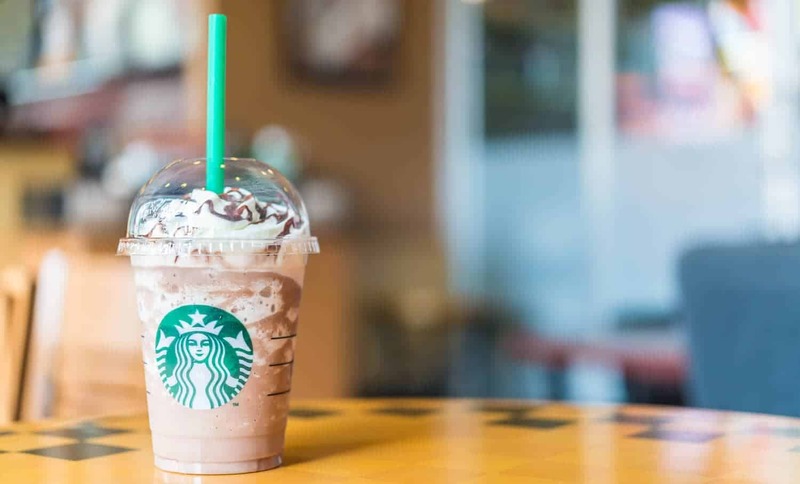 When Starbucks bought The Coffee Connection in 1994 they also got the rights to make, sell and market the drink as Frappuccino. They slightly altered the recipe, introduced it under the Starbucks banner and it remains a very popular drink on their menu to this day. The recipe itself is a blend of a few different cold drinks such as iced coffee, milkshake, Italian cappuccino and other flavouring and syrups. Starbucks also sells bottled versions of their Frappuccino in grocery stores and vending machines. So you see, Frappé and Frappuccino are not related, at all! With the explosion of coffee culture, coffee shops often bend over backwards to woo new customers and differentiate their drinks from the competition. This is just more good news for customers. This means you’ll never run out of frappé versions to try. While the Greeks stick to tradition and use instant coffee granules, the rest of the world prefers to use the ever popular espresso. You just shake a double espresso with some sugar and ice and serve it up! Some coffee shops may add liqueurs like Kahlúa to the mix. Some others may top your drink off with a scoop of ice cream. There are some other interesting variations too. The Bulgarians shake up their frappé with Coca-Cola instead of water. In Denmark you’ll find frappé is made with cold milk instead of water. 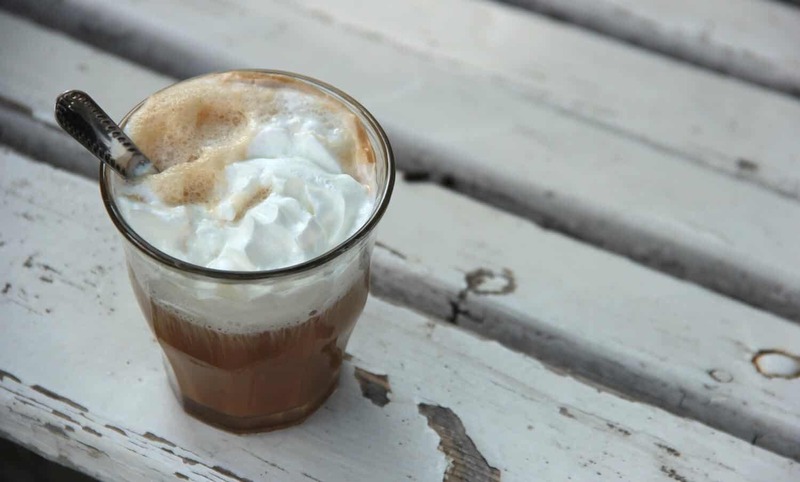 The Serbians make their frappé with milk or ice cream and add a dollop of whipped cream on top. So Where Does All This Frappé Talk Lead Us? When you find yourself hankering for coffee but you can’t stomach a hot beverage, the frappé is your best bet - strong yet refreshing! Make one of its many variations from the comfort of your home or or just stroll over to the nearest coffee shop. But do try and experiment when you see something new and exciting on the menu. The Frappé, despite its humble list of ingredients, is a very satisfying drink. With so many baristas putting their own spin on it you’re bound to find one that’ll knock your socks off. And always remember - if it has coffee and looks good - drink it! Frappe in french does not mean iced. It means hit, and refers to the blending of the drink.